Blog Reader Special: We are offering all blog readers a 10% discount on our estate planning rates. Best of all, the first step — a consultation to assess your needs — is absolutely free! 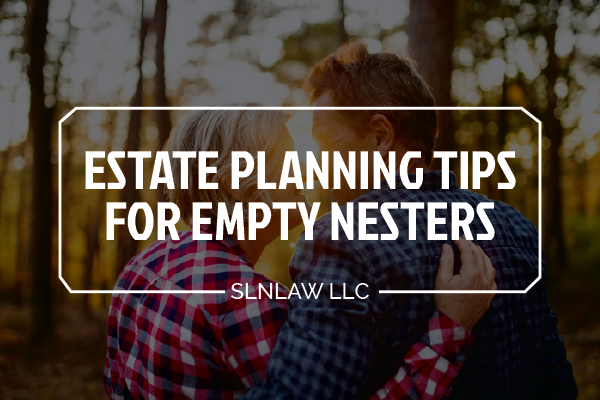 An estate plan isn’t a one-time thing, written just to be set aside to collect dust. Life changes. Laws and regulations change. 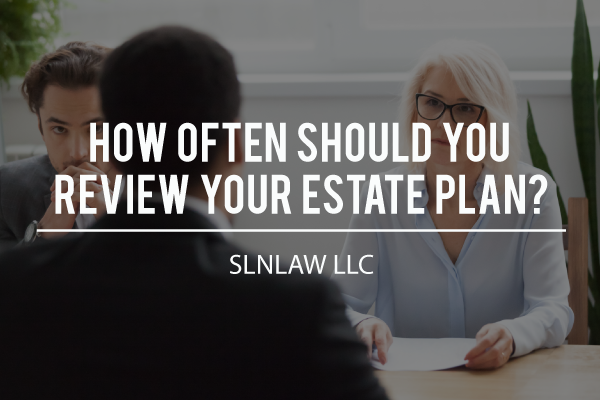 Reviewing your estate plan regularly and during major life events, regardless of the last update, will help make sure your affairs are in order. Here’s everything you need to know about when you should review your estate plan. 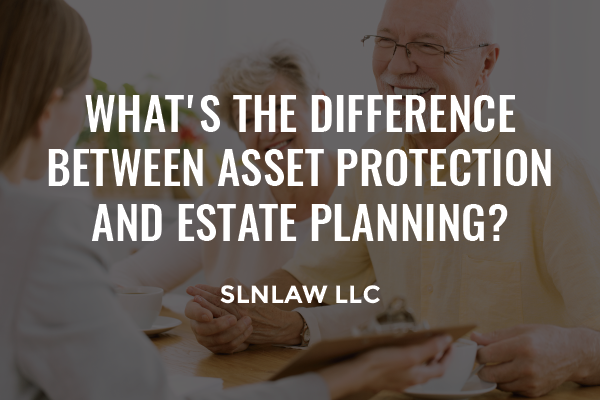 What’s the Difference Between Asset Protection and Estate Planning? Knowing the difference between asset protection and estate planning is the first step when it comes to protecting your property for yourself and future generations. 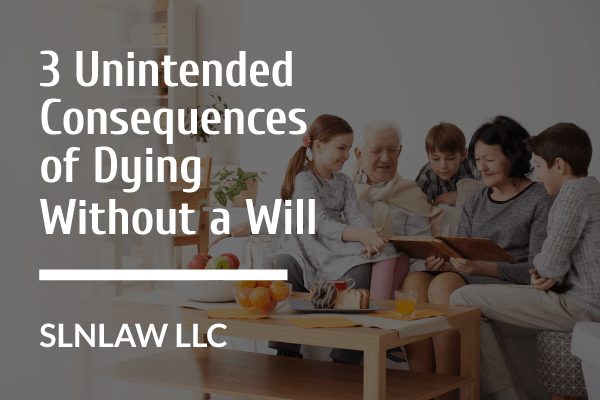 Dying without a will happens more often than you might think. Aretha Franklin. Prince. Howard Hughes. Celebrity or not, if you neglect taking the time to compile a legal document that outlines your full and complete wishes for your assets and the minors in your care, there can be life-changing consequences for the people left behind. No more school buses. No more huge grocery lists. The last bird has left, and now the nest is empty! You may feel sad or you may be overjoyed. You may not truly feel like an “empty nester” if you are still paying college tuition or loans for college tuition. You may just be trying to remember what life is like without your kids in the house. 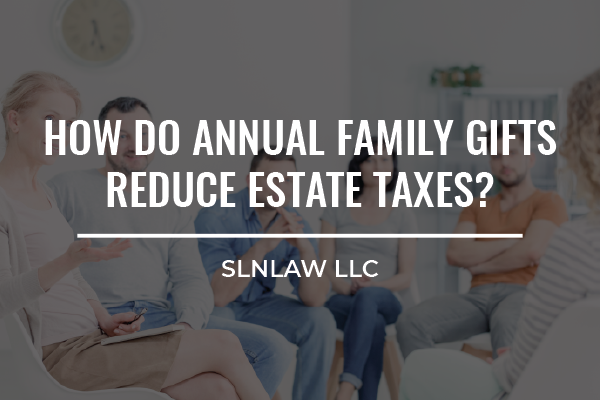 Either way, one thing you may overlook is the importance of taking a step back and taking a look at your estate as a whole. The “great wealth transfer” is underway. Over the next few decades, Baby Boomers will pass on $30 trillion in assets to Generation X and Y. If you’ve talked to your older loved ones about estate planning, you may have an idea of the scope of the assets that will wind up in your hands eventually. 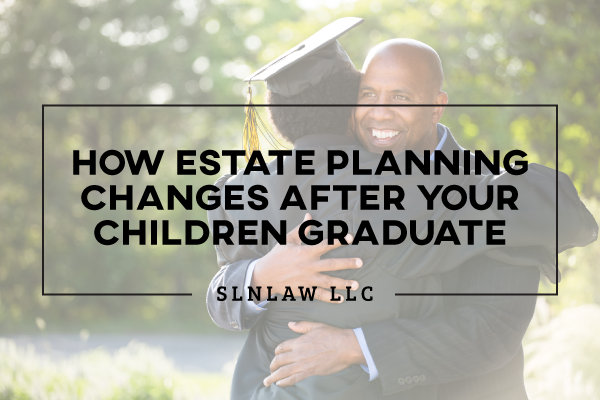 Have you calculated how this will affect your own estate planning? 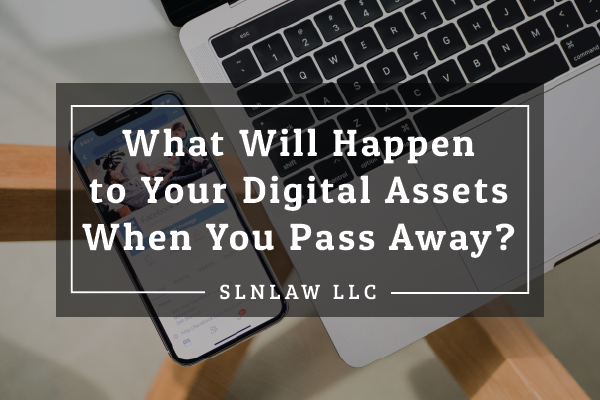 What Will Happen to Your Digital Assets When You Pass Away? Much attention is given to how to handle your personal property after death, in the physical world. What about the digital footprint you have left behind? From cryptocurrency to domain names to online stores to your Twitter feed – do you have a plan in place for each of these digital assets and who will assume ownership or responsibility for termination? Young children in the family offer powerful motivation for parents to put an estate plan in place. It’s imperative to ensure growing young ones will be taken care of by the desired guardian in the event of a parent’s premature passing, and it’s important that the guardian have access to the funds to “launch” the child in place of the deceased parent. 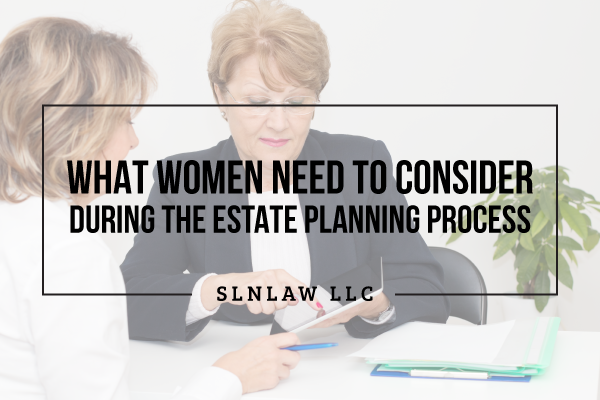 Estate planning is critical for every person, but women in particular face challenges that make preparation essential to avoid hardship in later years. 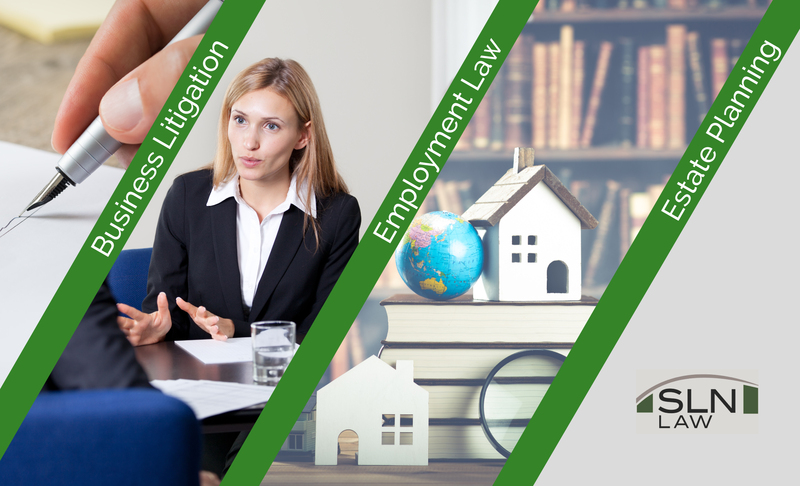 At slnlaw, we are fully conscious that estate planning is a human issue, but we know the statistics emphasize the importance for women specifically to exercise this task. 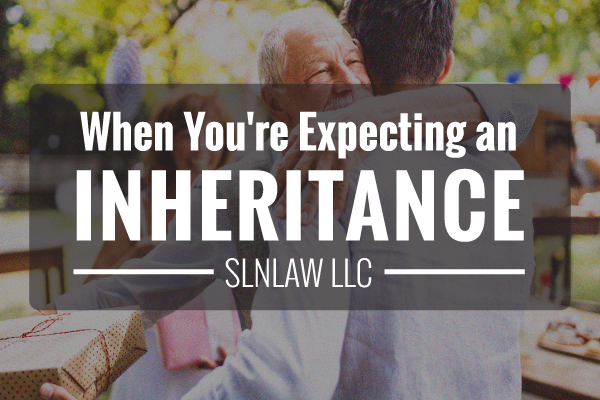 So you’ve decided to have your will and estate plan drafted. This process involves identifying what assets you own, where they should go and how they should be given to the recipient. Another important step in estate planning is choosing an individual to oversee the entire process once you’re gone. This person plays a critical role in the management and distribution of your assets after your passing, and they’re referred to as your personal representative. To have control over the individual chosen for this responsibility, you must name the person in your will. 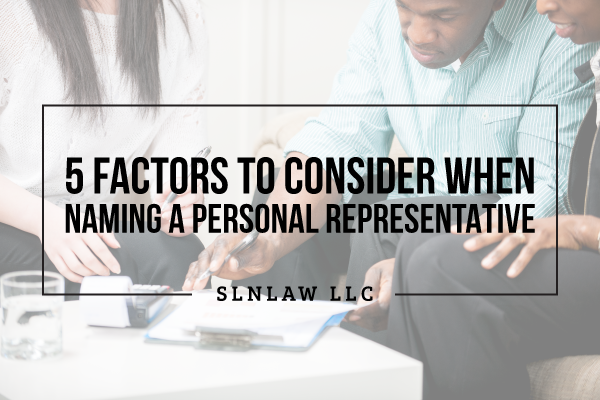 If you do not, the court will select a representative for you, which will most likely be your spouse or a close relative.